Dalhousie-Chamba-Khajjiar | Pack Travels & Tours (P) LTD.
Dalhousie is a beautiful hill station in Himachal Pradesh. Established in 1854 by the British Empire in India as a summer retreat for its troops and bureaucrats, the town was named after Lord Dalhousie who was the British viceroy in India at that time. 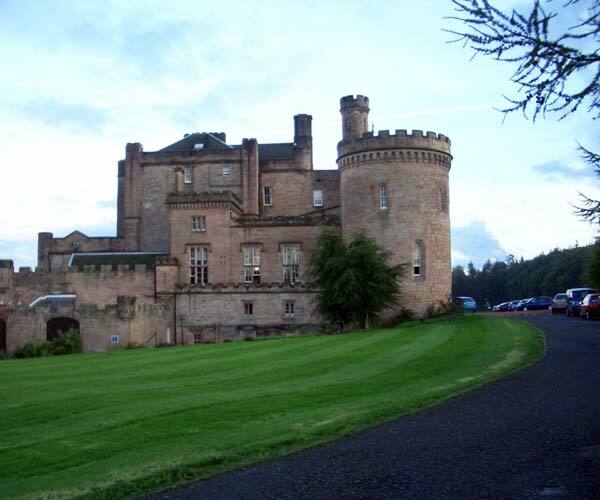 It is built on and around five hills. Located on the western edge of the Dhauladhar mountain range of the Himalayas, it is surrounded by the beautiful scenery of snow-capped peaks. 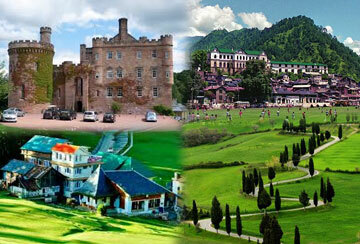 Dalhousie is situated between 6,000 and 9,000 feet above sea level. Chamba, 56 kms. from Dalhousie, is the northwestern district of Himachal Pradesh, with its headquarters in Chamba town – also referred to as the city of milk & honey. 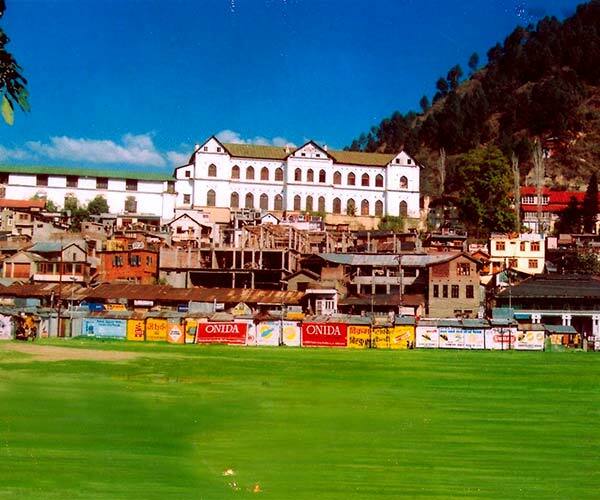 Chamba was one of the oldest Princely states in present-day Republic of India, having been founded during the late 6th century. The Ravi river flows through this district, and many hydroelectric generating stations have been developed here. Khajjiar, 24 kms. 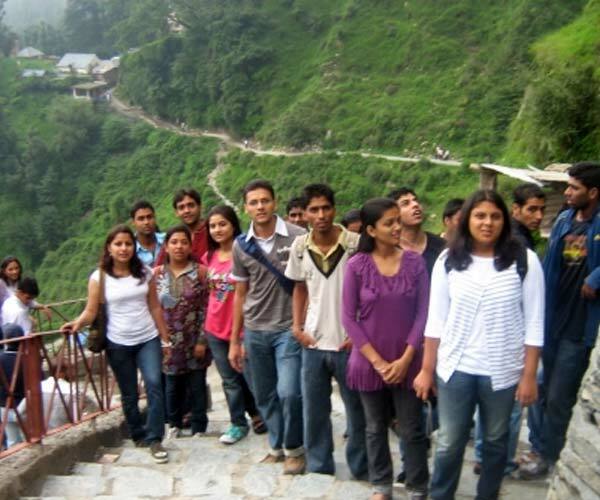 from Dalhousie is a small hill station in Chamba District. 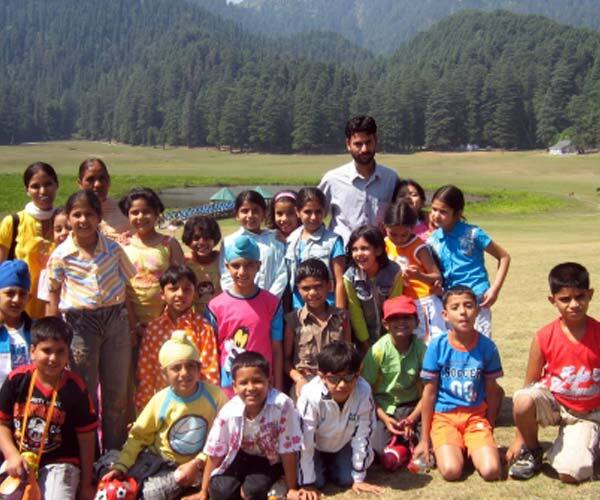 Khajjiar sits on a small plateau with a small stream-fed lake in the middle that has been covered over with weeds. The hill station is surrounded by green meadows and dense forests. It is about 6500 ft. (1981m) above sea level in the foothills of the Dhauladhar ranges of the Western Himalayas and snowy peaks can be seen in the distance. 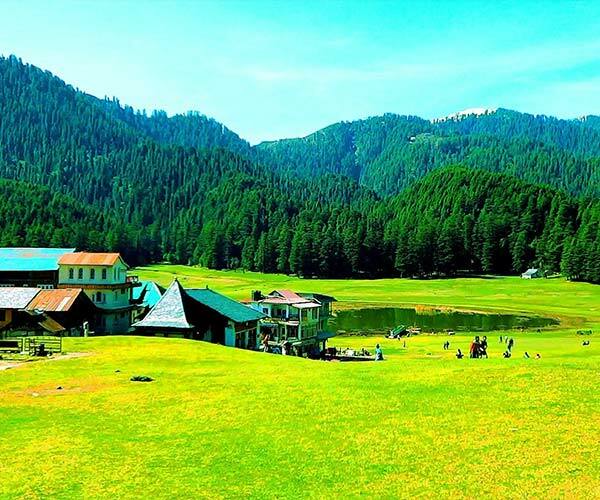 Khajjiar is often called the Mini Switzerland of Himachal Pradesh and was officially baptized thus by the Swiss Ambassador on July 7, 1992.